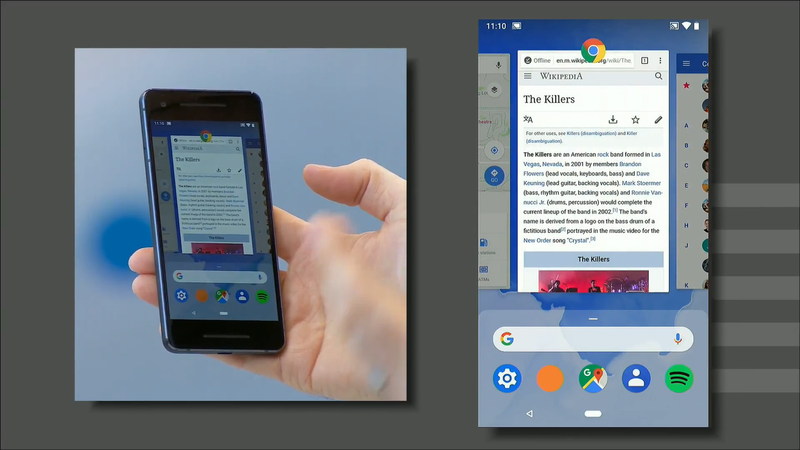 Google released the Android P Developer Preview 2, which brings a lot of noticeable changes to Google’s operating system and one of the biggest one is the gesture navigation. While this isn’t really what you’d get on the iPhone X or even in OnePlus’ implementation, but it's better and a new way to interact with Android. In the center, there’s a single “pill” button. This button serves a few functions. First of all, it’s the home button when you tap, and the Assistant shortcut when you long-press, just like the old home button. However, when you swipe it up slightly, it reveals the multi-tasking menu, which has also been redesigned. A full swipe up when on the home screen will also bring up the app drawer. Sliding that pill to the right will quickly bring you back to your previously opened app, while pressing and sliding that button will let you scroll through the last two or three apps to quickly select them. Personally, my favorite tidbit here is the haptic feedback each time an app passes by. Rounding out the refreshed navigation are two contextual buttons. Most importantly, this includes the back button. Essentially, this only shows up when you’re within an app, and disappears in places like the home screen, where it couldn’t be used anyway. The other contextual button is a rotation lock shortcut, which previously showed up in the first preview. Hopefully it gets a bit more polish before the final P build, as it’s still quite buggy right now, but so far, so good.